A car wash slated to open in New Hope, Minnesota in May 2019 is making news for its eco-friendly approach to water reuse. As the first of its kind in Minnesota to use captured rain and reused wash water, the car wash, owned by Chris Robbins, is getting a lot of attention. The new car wash employs Aqua Bio Technologies’ Bio Complete system to restore used wash water to as near city water quality as is biologically possible. This system allows 90 to 95 percent of used wash water to be used in a new wash, creating massive savings for the environment and for the business’ bottom line. The new car wash will also utilize the Pro Rain system by Aqua Bio, which collects rainwater that falls on the location’s roof and treats it for use in the wash facility. With the Pro Rain system, 100 percent of the captured water can be used in a wash, further reducing water costs. In Robbins’ case, underground tanks that can hold 100,000 gallons of collected rainwater will be in place to provide an additional source of eco-friendly wash water. The average car wash uses 60 gallons of city water to wash a vehicle. Over the course of a single year, a busy car wash uses millions of gallons of water. Reducing water and sewage costs for car wash owners is just one benefit of choosing Aqua Bio systems. As customers become more interested in buying eco-friendly products and supporting eco-friendly businesses, local politicians also see the need to support such businesses in their communities. According to an article in Minnesota’s StarTribune, “New Hope officials said the eco-friendly focus of the car wash proposal was a key selling point”. While many other builders and developers are focused on meeting bare minimum standards for storm­water management, Robbins stood out for his environmentally-friendly approach. As the opening of the new car wash inches closer, a new era in the car wash industry is unfolding. 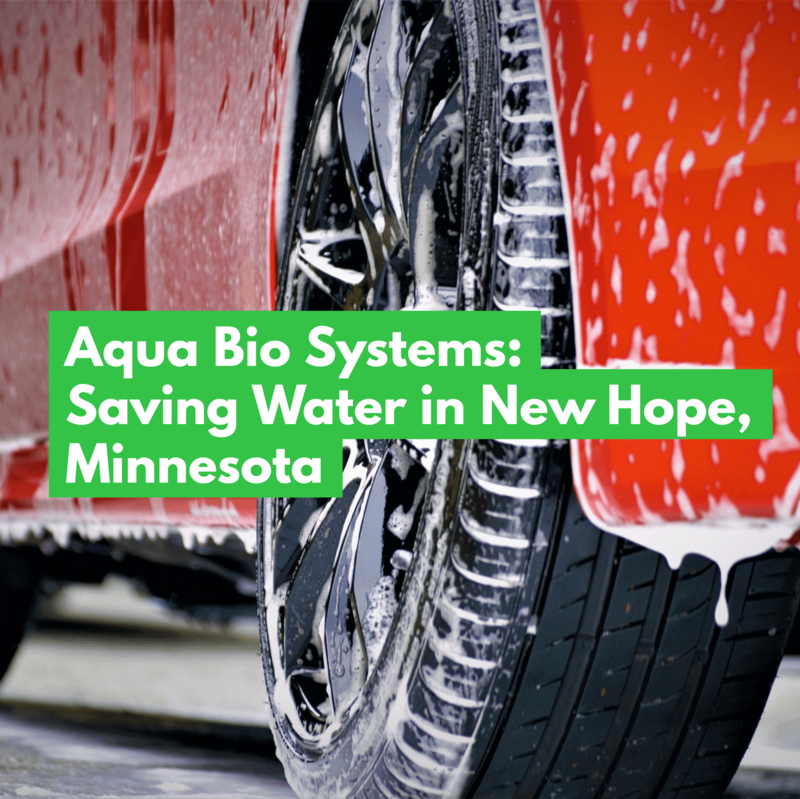 Aqua Bio Technologies stands as a leading manufacturer of water reclaim and restoration systems, assisting nature to deliver the results that car wash owners and customers are looking for. For further information about Aqua Bio Technologies, visit https://www.aquabio.co/.